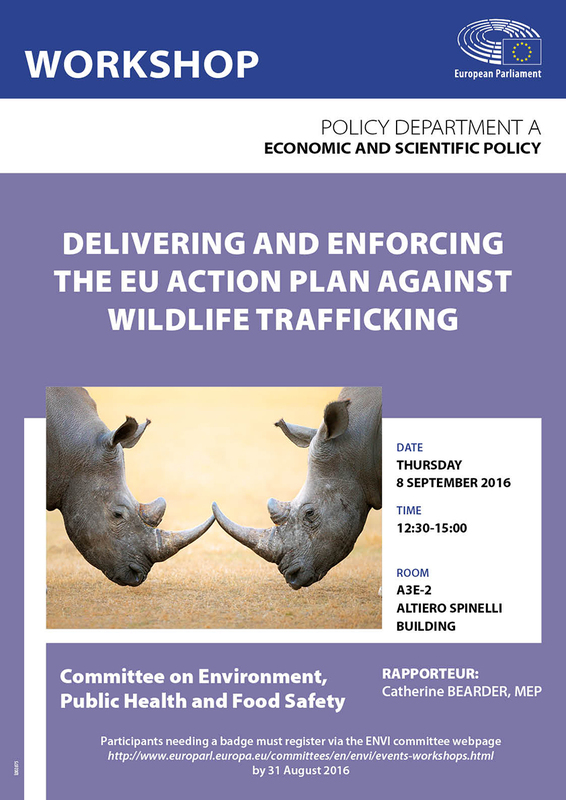 On 08 September 2016, C. Griffin, Wetlands International (Conservation leader for SEG) and F. Stein (SEG) participated at the ‘Workshop on Delivering and Enforcing the EU Action Plan against Wildlife Trafficking’ in the European Parliament in Brussels. During the presentations by various delegates from the European Commission, UNEP, TRAFFIC, Ricardo-AEA, UK Border Forces, Europol and the University of Northumbria, the illegal trade of European eels from Europe to Asia was highlighted in 3 out of 7 presentations. This reflects the EU Action Plan, which prioritizes counteraction of illegal trade in European eels. Helge Elisabeth Zeitler, member of the European Commission, DG Environment introduced the EU Action Plan and highlighted the issue of European eel export to Asia. Access the official meeting document including all presentation and short bios of the speakers.